Enhance your listening experience as you immerse yourself in pristine Bang & Olufsen Signature Sound with premium Beoplay E8 wireless Bluetooth earphones. 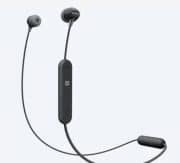 These sleek in-ear headphones are a truly wireless way to listen to music and take calls without getting in the way of your busy, active lifestyle. 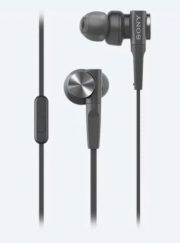 Equipped with Bang & Olufsen Signature Sound, these unobtrusive in-ear headphones don’t compromise on sound quality for wireless convenience. Tuned by acclaimed Bang & Olufsen sound engineers, the Beoplay E8 earbuds deliver crisp, clear audio the way your favorite artists intended for it to be heard. 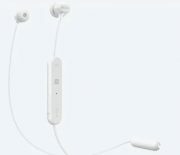 These headphones feature Near Field Magnetic Induction (NFMI), an innovative audio streaming technology used in hearing aids that ensures zero dropouts between the two earbuds. NFMI creates a magnetic field around the head so that signals travel faster for better quality streaming. 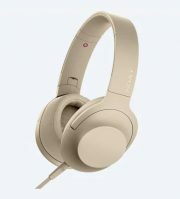 Advanced Bluetooth 4.2 with DSP allows for sound tuning, equalization, and gain while the dynamic speaker and electronic transducer of these headphones deliver best-in-class sound quality. 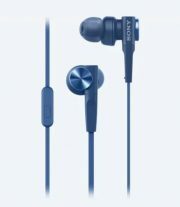 Simply tap these earbuds every time you want to change your tune or answer a call. The intuitive touch interface lets you switch between tracks, take calls, adjust volume, and activate voice command without the need to fumble with your phone or annoying wires. 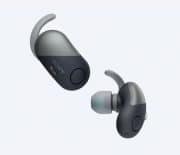 It even lets you activate the handy transparency mode, which quickly and safely reconnects you with ambient noises around you. 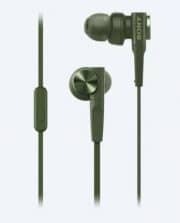 Quality materials such as high-performance Comply Sport memory foam and silicone ear tips ensure that these earbuds provide a secure and comfortable fit and the luxurious leather charging case offers stylish transport. 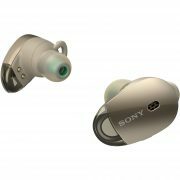 After an initial full charge with four hours of playtime, simply secure the earphones into the case and enjoy two additional on-the-go charges for a total of up to 12 hours.